Gionee Elife S5.1 which was once the slimmest smartphone at a thickness of 5.1mm and sporting a 4.8 inch AMOLED display. This device was even given the award for the slimmest smartphone by Guiness Book of World Records. Gionee elife S5.1 is now replaced by the even thinned Oppo R5 which has a thickness of 4.85 mm and is the slimmest smartphone in the market at the moment. The Oppo R5 thickness is increased and becomes similar when measured considering the projecting Camera as well toa round 5.1mm which is similar to Elife S5.1. This device is available for sale in eBay for Rs. 17,549. You can book the device through eBay which is coming with 1 Year Gionee India warranty and is also available in EMI. 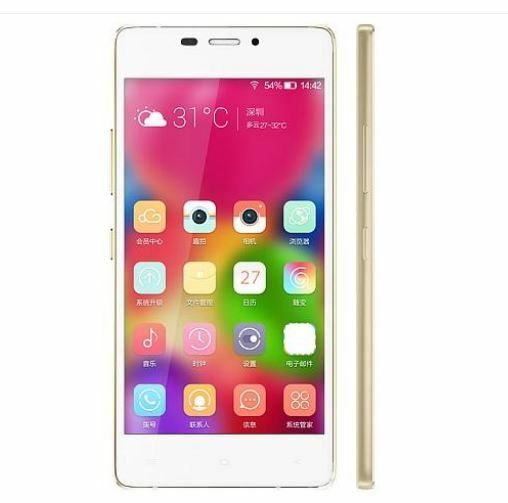 This device is decent enough with the specifications at offer but the absence of expandable memory is a drawback for the device with just 16GB at offer and the device is not coming with Android Kitkat 4.4 and if you look for similar specifications Redmi 1S also comes in the same category and is priced much lower than Gionee Elife S5.1.